Is Chronic Pain a Disease? Here is what Dr. Hurst-Wicker had to say. Pain is a symptom of some other underlying problem, much like a runny nose is a symptom of a cold or allergies. The key to solving a problem is identifying the problem and figuring out how to fix it. If we invest all our time and energies in treating only the symptom, pain, without diagnosing the cause, we risk missing the chance to fix the problem and remove the symptom. We miss the opportunity to get the patient the right treatment, right away. People experience chronic pain for many reasons, and many patients can be treated with injections, medication, surgery, or other modalities. The tough thing for both patients and physicians is realizing that human bodies are complex organisms. We are in the process of learning and understanding this intricate machine, but we don’t have all the answers to the problems we face readily available. This means that for some patients pain could be caused by something we don’t fully understand and therefore don’t have great treatments. Eventually we will get there. But if we started saying, “Oh, the problem is just chronic pain and we need to treat only the pain,” we’d miss the opportunity to find real causes, and we would miss opportunities to develop treatments that could truly help people, instead of only masking the symptoms. Q. How important is a history and physical? Take chronic myofascial pain as an example. Myofascial pain syndrome (MPS) is a common cause of chronic pain. It can be the primary peripheral pain generator and at the same time, it may flare up as an indicator of other pain generator in the same area. That’s why a big part of evaluating a patient with pain is getting a good history and physical exam. Q. Why does pain become chronic in some people and not others? The transition from acute to chronic pain has a variety of contributing factors. Sometimes the problem is that the underlying problem can’t be fixed, like a bad joint that can’t be replaced because the patient is too sick for surgery. In other cases, people can develop the changes to central sensitization thus perpetuating pain even after the initial problem is fixed. Some studies indicate genetic factors play a role and may explain why some people experience chronic pain and others don’t, and other studies indicate certain pain medications could initiate the process of central sensitization. I’m not sure we will ever develop a quick or simple way to figure out what patient will develop or experience chronic pain. There are many factors at play and I think it is too complex to determine right away. But, we continue to learn more year after year. Q. Are there other factors that contribute to chronic pain? Stress and sleep can certainly have an effect on pain. Stress alone can change the levels of neurological hormones in our central nervous system and thus, amplify chronic pain. We discussed a study in a separate interview on centralization in fibromyalgia. 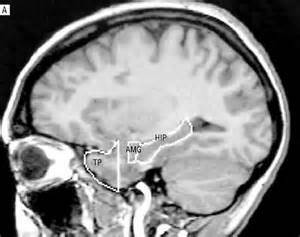 In this study, they used the MRI to evaluate the size of the hippocampus in fibromyalgia patients [the region of the brain responsible for with memory and spatial navigation]. One of the things they discussed was whether the hippocampus was small due to the stress of chronic pain in fibromyalgia, or if patients maybe had higher stress levels that shrunk their hippocampus and thus got fibromyalgia. Sleep, more specifically the lack of sleep, is known to worsen pain. The restorative process of sleep allows our bodies to refresh, regenerate, and heal. So when we don’t sleep, we not only miss out on restoration, we also have a concomitant increase in both the physical and mental stress that our bodies must endure. Patients can help themselves by being more aware of stress in their life, take time to eliminate those that they can, and find better ways to deal with the ones they must. It may mean setting aside time to take a nap in the middle of the day, or other things to care for themselves. Regular exercise has shown it reduces stress and promote better sleep habits. Stay tuned for more answers from Dr. Hurst-Wicker about what happens when our brain perceives chronic pain as a threat. Karl S. Hurst-Wicker, MD, is a board certified anesthesiologist practicing pain management at the Desert Pain Institute. He graduated from Columbia University College of Physicians and Surgeons and completed his residency in anesthesiology at the University of Utah.